Another Side of Aussie Life- The Outback! 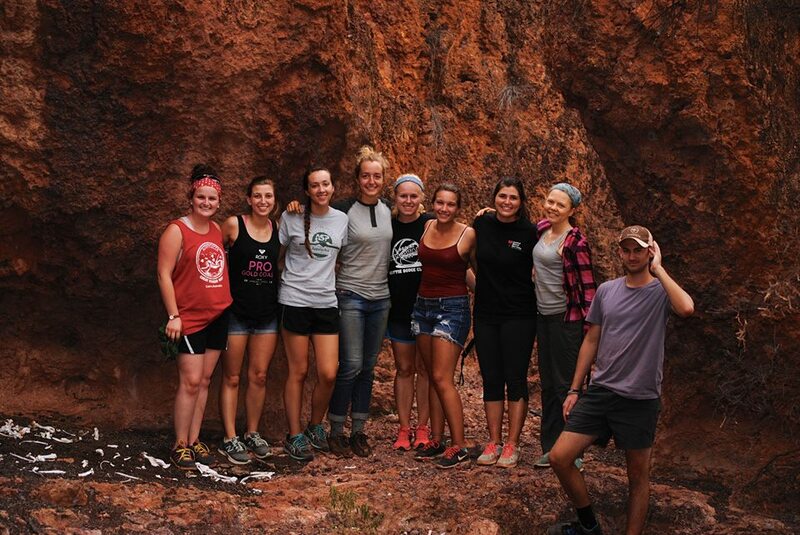 Here’s just a small taste of my time in The Outback! As many of you know, I am spending my semester in a flourishing city in Australia; Brisbane. Again, as many of you know, I am definitely not a city girl, I have a heart for open spaces, landscapes, and quiet… and that’s exactly what I got this past weekend. We left Thursday morning at 4:30am for a 12 hour drive into The Outback. I pulled an all-nighter that way I could sleep most of the time on the bus. We arrived at Tyrone Station in the afternoon/evening time, only too arrive to immense beauty, vivid red dirt, and wide open spaces… oh and some cows! We were welcomed by Grace, who lives on the station, and started the 4 day trip into the life of Grace. 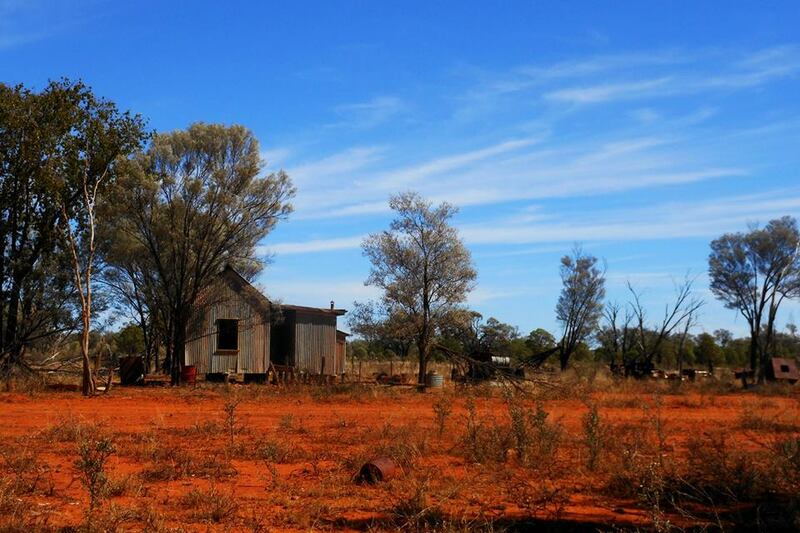 Living in The Outback takes perseverance, hope, determination, and a love for hard work. We arrived as the sun was setting, and I was able to watch one of the most beautiful sunsets I’ve ever seen. Dinner starts when the sun goes down, so we all headed back in for some of Grace’s home cooking… which made me feel at home. Obviously we were exhausted, so we dragged the mattresses outside underneath of the stars to try to fall asleep. The view was so breathtaking I struggled to fall asleep under the crystal clear sky, the view of the Milky Way Galaxy, and several shooting starts, it was truly a work of art. This is a picture from the exact spot we were sleeping! Pictures will never do it justice, but here’s a small glimpse of the beauty. The next day we set out for a tour and some work! We rode around in the back of some trucks along the 60 square miles of property and did some small work projects such as cutting down some trees, fixing some fences, and filling some pot holes. We then drove back for some well deserved lunch! After lunch we headed out to the river to do some swimming. Now, as a side note, our whole group decided to do a no shower challenge, so we were already sweaty and covered in the rust colored dust… then we basically swam in mud. We stayed there for a while and had some really good fellowship as we jumped in and out of the water! Finally we headed back for dinner, and spent the rest of the evening getting to know each other and experiencing the true beauty of The Outback. Each evening we spent some time sharing three things about ourselves, some deep, some funny, and some exciting… it was a wonderful exercise to get closer to this wonderful group I am blessed to spend time with! 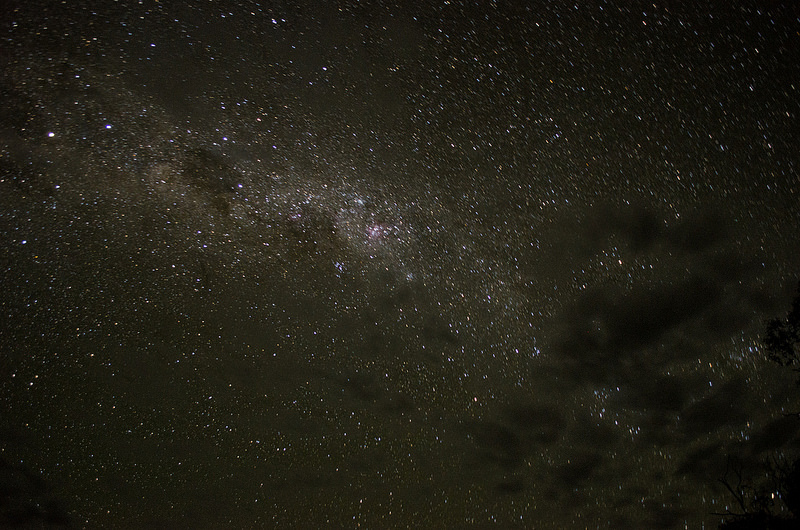 Again, we were able to sleep under the beauty of the night sky with no light pollution. A funny story, we found this creepy looking baby doll mixed in with all of our stuff. No one knew where it came from, so obviously Dana and I had to prank a few people by placing it in their sleeping bags and such. It was successful I must say. 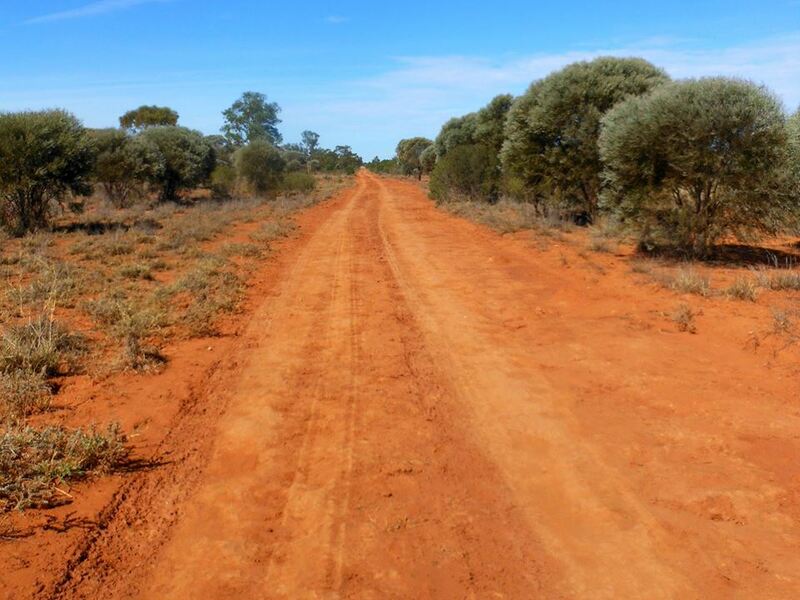 A perfect depiction of the beauty of the red dusty dirt of the Outback. The next morning we ate some breakfast to give us some energy for our next mission; tearing down an old fence. I proved my skills as an independent, very capable, young women! After that fun project we had some free time. Myself and a few others spent some time hanging out with baby Claire and her older brother and sister. Claire is the daughter of one of the men working on the cows that day. After they mustered all of the cows, we got to watch and learn how to check the females for babies, pierce their noses (to ween them away from their mothers), brand them, and other small things. It was a great look into the life of these people. After that we headed to The Cliffs, which border Grace’s and their neighbors property. It was an absolutely stunning view! We had some reflection time, then took a beautiful walk and got some wonderful pictures. As the sun started to set, we headed back to the main area to get some dinner. We had a campfire, and spent some more time talking among each other and hearing some incredible stories. We also had the privilege of listening to Grace talk about life in The Outback. Obviously living in a desert is hard for many reasons. She is very secluded (she lives with her husband at least), and droughts take a toll on their time and their business. They raise cattle for beef, but cattle obviously need water and food. Water can be very scarce in The Outback, and with each tiny glimpse of rain, there is hope and another day of life for Grace and her family. While we were talking about this, it started to rain, which is such a beautiful thing after hearing the struggles of daily life. Grace and her family have had to cart water and food back and forth to all the cattle for 18 months because all of the watering holes dried up. Though I was sad we had to sleep under the roof, it doesn’t compare to the joy I had that there was rain in The Outback. After some quick guitar lessons I taught and jam sessions with some other friends, we headed to sleep for our last night. We woke up at 5am, packed up, ate some hot cross buns, and headed back to Brisbane… but not after some good-byes! It was SUCH a wonderful time disconnected from busy life, and a small taste of home. I am very grateful for this cultural experience with this group of people. It’s a blessing to live life with other people. This is some of my classmates and I at The Cliffs! We climbed down to stand under some caves! 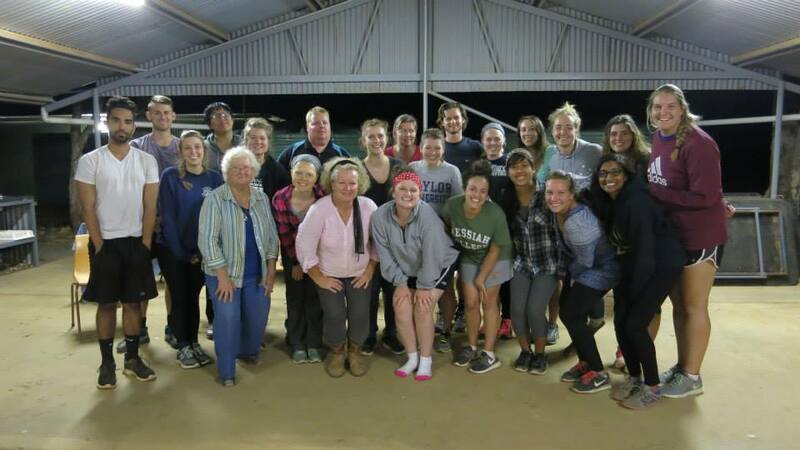 Thanks to Grace (beside me) and Grandma (beside Grace), we felt like home in The Outback. This is our whole group. Reblogged this on Studying in Australia.